Dubai, May 12, 2018 : The new addition to the Swissôtel family invites you to celebrate the spirit of Ramadan in an authentic environment in the heart of Dubai. From traditional settings to sumptuous dishes, an authentic experience awaits you and your family at Swissôtel Al Ghurair. 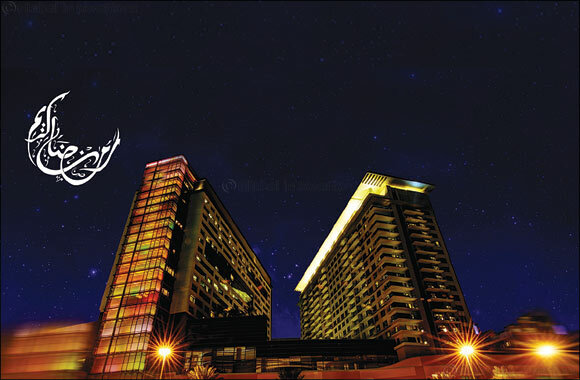 Experience a magical holy month with a delightful Iftar buffet selection and live Oriental music at Liwan Restaurant. Savour traditional specialities including Lamb Ouzi (Emirati lamb dish on oriental rice), mixed Dolmas (stuffed rice in vegetables), Harees (porridge of wheat and chicken/mutton), Chicken Freekeh (chicken with wheat grains) and Mandi (Yemeni meat and rice dish) followed by traditional cheese desserts such as Khunafa and Halawet Bil Jibn. Before dawn, unwind over Suhour and choose from a wide variety of shisha flavours. Shayan Restaurant will be offering its signature Lebanese and Persian dishes for Iftar including Ash-e-reshteh (traditional Iranian soup), Iranian kebab platters, Joojeh and Kubideh Kebab and Faloudeh (Iranian cold dessert made from noodles mixed in a semifrozen syrup made from sugar and rose water). In addition, a designated beverage station will serve an array of refreshing drinks like Mint Fresca and Iced Hibiscus Tea to complete your Ramadan experience. Iftar Buffet at Liwan Restaurant is priced at AED 139 per person inclusive of Ramadan juices, soft drinks, coffee and tea. Children under the age of six dine for free and children aged six to 12 are priced at half price. Iftar is served from sunset until 9PM. Iftar Set Menu at Shayan Restaurant is priced at AED 149 per person inclusive of Ramadan juices, soft drinks, coffee and tea. Children under the age of six dine for free and children aged six to 12 are priced at half price. Iftar is served from sunset until 9PM. *Prices are inclusive of 10% municipality fee, 10% service charge and 5% VAT.